Andrew is the managing attorney of our Illinois offices. Andrew is a business lawyer with diverse experience. Andrew represents, counsels and advises clients across numerous industries on general business and litigation matters. In addition, Andrew works with franchisors and franchisees on franchise-related matters including the preparation and review of franchise disclosure documents, franchise agreements, area development agreements and similar documents. 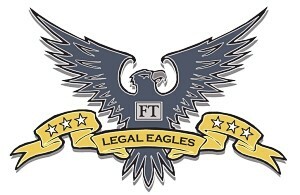 He is recognized as a ‘Legal Eagle’, one of the nation’s leading franchise attorneys, by the Franchise Times. Andrew previously worked as an attorney in the Chicago office of DLA Piper US LLP. Andrew graduated with honors from Chicago-Kent College of Law at the Illinois Institute of Technology and received his Bachelor of Arts in English from The University of Texas at Austin. Andrew co-founded the Northern Illinois Franchise Association (“NIFA”) (www.northernilfranchise.org). The NIFA dedicates itself to supporting the individuals and businesses in franchising at the franchisor, franchisee and supplier levels. The NIFA is committed to promoting, enhancing and fostering the success of franchisors and franchisees in Illinois through communication, political advocacy, networking, support services and educational programs. Andrew serves as a member of the Illinois Attorney General’s Franchise Advisory Board. -Represented franchisee in connection with sale of multi-unit franchise network. -Represented franchisee in connection with acquisition of two existing locations of franchised restaurant. -Represented franchisor in action initiated by state regulatory agency for alleged violations of state franchise laws. -Represented franchisee on acquisition of area development rights for development of multiple units of quick service restaurant concept in an exclusive territory. -Represented franchisee in connection with evaluation, analysis and purchase of franchise opportunity and the negotiation of the franchise agreement. -Defended former executive against claims by his former employer for breach of restrictive covenants contained in an employment agreement, prevailed on motion for temporary restraining order, conducted evidentiary hearing on motion for preliminary injunction, which resulted in an order denying the former employer’s request for injunctive relief, and handled the appeal of the trial court’s order. -Defended employer and employee against claims by employee’s former employer for breach of restrictive covenants contained in an employment agreement, prevailed on motion for temporary restraining order. -Represented an international quick service restaurant franchisor in a series of class actions brought by franchisees in several forums across the county alleging fraud, consumer fraud, RICO, breach of contract and breach of the implied covenant of good faith and fair dealing claims, among other claims; participated in mediation and negotiations; drafted complex national class action settlement agreement. -Defended an international quick service fried chicken franchisor in the State Court of Fulton County, Georgia against claims by a competitor for tortious interference with contract and tortious interference with business relationships; prepared summary judgment motion; prepared case for trial, including all pre-trial materials and motions in limine. -Defended a quick service pizza restaurant franchisor nationally in various claims asserted by area representatives and franchisees alleging fraud, breach of contract and breach of the implied covenant of good faith and fair dealing, among other claims; successfully developed and implemented strategy to resolve all pending cases. -Represented an automotive service and repair franchisor in claims against franchisees for breach of contract, tortious interference, and violations of the Lanham Act; drafted and filed appellate briefs in the United States Court of Appeals for the Seventh Circuit on the issue of venue. -Defended closely-held corporation in action by minority shareholder for oppression. -Represented a frozen dessert licensor in Lanham Act claims against former licensee for trademark infringement and unfair competition. -Represented minority member of web hosting company in breach of contract action against majority member. -Represented a closely-held corporation and its majority shareholders against shareholder derivative and oppression claims of a minority (33 percent) shareholder; defeated a motion for a temporary restraining order; filed an election pursuant to Section 12.56 of the Illinois Business Corporation Act to force the sale of shares of the complaining shareholder; second-chair in trial on the valuation of shares and obtained favorable ruling from the court for an amount very close to the clients’ position on valuation. -Defended metal products manufacturer against claims by competitor alleging tortious interference and misappropriation of trade secrets arising from client’s employment of competitor’s former employee. -Represented franchisors in actions involving breach of contract, fraud and Lanham Act claims. -Represented a minority (10 percent) shareholder frozen-out of a business and accused of embezzlement; brought oppression case and shareholder derivative claim against the majority shareholder and a series of jointly held entities resulting in the expeditious untangling of the joint ownership of the entities and significant payments to the minority shareholder. -Obtained a temporary injunction, preliminary injunction and a judgment in favor of a dental management organization against a dentist arising from the violation of a covenant not to compete; obtained and collected judgment for attorneys’ fees. -Defended a leading dental health practice management corporation against a claim by a putative class for underpayment of compensation; developed and implemented strategy to institute a separate suit against the named plaintiff based upon his breach of contract and violation of his covenant not to compete; obtained a temporary restraining order barring the named plaintiff from practicing dentistry, resulting in a dismissal of the class action. -Represented a business best-practices consulting firm in a fee dispute with a major national grocery chain and obtained full damages and interest. -Defended dentists in disciplinary actions before the Illinois Department of Professional Regulation. -Represented manufacturers and premises owners subject to mass asbestos litigation in Madison and Cook counties in Illinois.